The officers of the SBU confiscated a PC server and gifted pistol with bullets during the search at the apartment of MP Nadia Savchenko. Mother of MP Maria Savchenko reported this to 112 Ukraine. According to her, the men who called themselves ‘the officers of the SBU and asked her to get inside’ knocked at the door at 7 am. She refused to let them come in until the arrival of the advocates and did this in an hour. Five SBU officers and two witnesses came. ‘According to Mrs. Maria, they confiscated a PC server from the room where Vira Savchenko lives and works and also they took the pistol with bullets gifted to Nadia Savchenko – we saw only a box of this pistol. Mrs. Maria said that the SBU did not name the particular thing they were looking for. Supposedly, they searched for the weapon mentioned in the charges’, the correspondent reported. Maria Savchenko added that the law enforcers ‘turned over everything in the house’, visiting the kitchen, balcony and rooms. Later Olena Hitlyanska, the spokeswoman of the SBU claimed on Facebook that there is no sensation in the search of Savchenko’s apartment as the SBU investigates the criminal proceeding in which Savchenko is involved. ‘The investigation continues, different actions take place, including the searches’, she wrote. 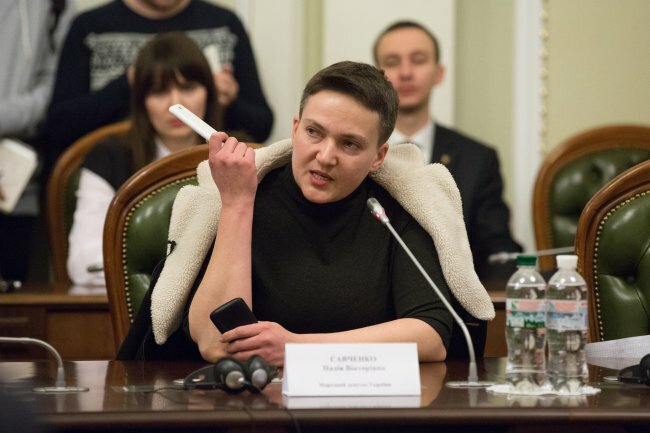 She also belied the claims that the law enforcers looked for the grenade launchers at the apartment of MP Savchenko. Earlier we reported on the search at the apartment in Troieshchyna district of Kyiv.